It’s every business owner’s dream to work with their ideal customers. But most of the time, we’re stuck working with clients who are either a wrong fit or difficult to work with. Being able to attract your dream audience can make an amazing difference in how you work. It not only makes you more motivated but it’s also a healthy way to run your business. With that said, part of attracting the kind of people you want to work with lies in your marketing copy. When people go to your site, the first thing they’ll read about you is your message. When you convey the wrong things, you might receive interest from people who often don’t end up as customers or just aren’t a good fit for you. That’s why it’s important to be conscious in what you communicate so you get targeted business prospects that love what you do and whom you’d enjoy working with! 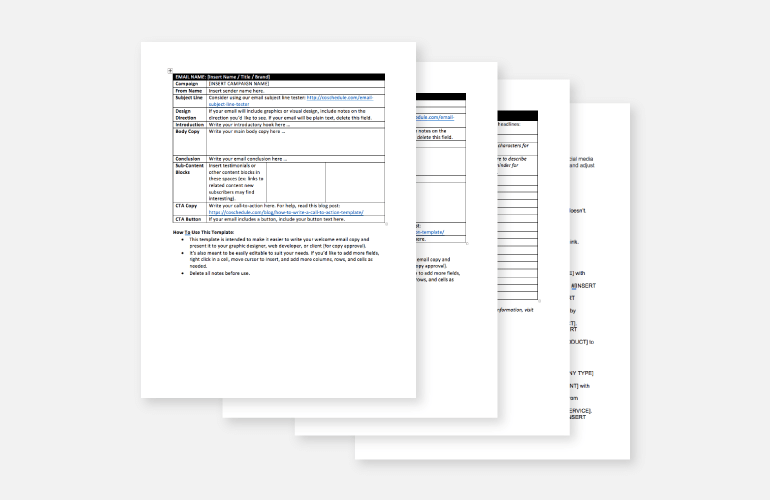 Improve your copywriting with these free templates! A crucial part of establishing the right message lies in who your ideal customers are. Never just assume who your likely audience is. You need to do some sort of market and competitor research so you don’t have to go through numerous trial and errors. Don’t waste your time doing guesswork when it comes to your message. Follow the steps outlined below to make sure your message resonates with your dream clients! One of the secrets of winning over your ideal customers is all about getting clear on the type of people best suited to you. That’s why finding who your best and true customers starts with what you like. The best person to work with is someone who won’t just pay you handsomely (although that would be awesome as well), he or she should be a joy to work with as well. Once you know who exactly to look for, everything else just falls into place. But first, you have to start by being clear on who your dream audience is. This could either be a company or person you’ve worked with in the past, or even a fictitious persona you’ve just drawn up. Start by asking yourself: what kind of people do you (or would) enjoy working with? List out a number of traits or look back at past clients who you liked. My first deal client is a small to medium-size company looking to grow their sales. My person of contact wields a significant amount of decision-making weight. He (or she) can decide on copy matters without having to consult with a reviewing panel. He’s not afraid to try new things and knows what he’s looking for, which he makes sure to communicate clearly to me. Moreover, he values me as a crucial member of the team so my rates aren’t an issue. He knows the value of my work and frequently contacts me for any project he might need help in. Once he sees the results of the past projects, he continues to send work my way. The more detailed your customer profile is, the better. More than just adding a significant amount of details, you can also create more than one ideal customer profile. 1. Define yourself first to establish the attributes that make them ideal. If you know who you are as a person, you’ll most likely know the type of person you’d love to work with. Start with the usual key traits that show up whenever you’re working with a client or interacting with customers and base off from that. For instance, if you’re the independent type when working, you might prefer someone who lets you do your thing and won’t micromanage you. If you’re the kind of person who likes being heard, include in your customer profile that they need to be open to feedback and suggestions. If you have a non-negotiable stance on your rates, you can include that he or she is the type who won’t lowball your rates. above are just some factors you can consider to start with. Feel free to add more if you think a detail is relevant enough to be included. 3. Don’t be afraid to delve deeper. The last step is the most crucial of all. You need to get to know them deeply to have an effective message they’d want to read. Get familiar with their needs and wants to make sure your message speaks to their innermost desires, needs, and problems. 6 questions to ask customers to improve your sales. What does he or she value the most when it comes to choosing someone to work with? What are their most prominent beliefs and opinions? What do they aspire in their life and business? These are just a few questions to help you imagine who your likely ideal audience is. Once you have a distinct image of the kind of customer you want to attract, writing a message that speaks to them becomes much more manageable. You can also add other psychographic details such as education level, personality type, fave blogs, and political affiliation, among others. Including most of the above will definitely allow you to build a complete picture of who your ideal customer is. Once you have that, crafting a message that speaks to your target market will be a much easier task! Now that you have a complete overview of your ideal customer, it’s time to zero in on their pain points. This is a particularly important part because crafting the kind of marketing copy that attracts is your dream audience is all about knowing their problems and needs. However, it’s important that you don’t make any assumptions about your audience during this process or your message won’t likely resonate with them. What has stopped you from growing your business so far? Why? What aspect of your business has taken the most time and money? Why? What’s your number one complaint about running your business? Why do you think it’s happening? If you noticed, the above questions sought to pinpoint a particular issue first and then the reasoning why that problem occurred or keeps on happening. This line of questioning allows you to get to the root of the problem and gain much deeper insights on how you can help them solve that particular issue. Another method you can do is to analyze how they interact online. Should you have limited or no chance to survey your ideal customers, you can look at the places they hang out on online such as social media and forums. What do they frequently ask about or discuss with others? What kind of information are they consuming? Are they frequent readers of marketing blogs or news sites? What can you glean from their online behavior? Do they spend more time on social media than any other platform? Why could this be so? The key here is to keep asking and asking until you get to the crux of their behavior. Maybe they’re on social media so much because they’re invested in the personal lives of others or are managing their business pages. You can then note the info down and see later on if it’s something you can use in your message. Whether you choose to engage with your ideal customers directly or analyze them from a distance—the important thing is to listen. Listening well will allow you to peel back the layers of their persona and what they’re struggling with. If you’re able to do that, you’ll be able to glean valuable customer insight that will allow you to speak to their inner desires and concerns. But don’t just resort to using your knowledge of your customers’ pain points to twist the knife and aggravate their pain. A more sustainable and non-icky route is to use it so you’ll know how to position yourself as the solution. Once you know what makes them tick, you’ll know the exact things they’re experiencing and would want to avoid. You can then use the information so you can figure out which pain points you can then help solve. From there, you can also figure out which desires you need to fulfill or fears of theirs you can help overcome which can be the basis of your business offer. This takes us to the next step which is to position your offer as the solution to their problems. You have to be able to convey how you can provide value in their lives and how you can help solve any of their particular pain points. In their message, they make it clear that their target audience mainly consists of recruiters and hiring managers. Show them that you understand them. This is where your research comes in. Mention a specific issue they’re likely still struggling with and include that in your message. This conveys that you know them and are intimately familiar with what they’re facing. Toggl (image below) does this by including the line “Where did the time go?” For many of us, it’s easy to lose track of time and wonder how you spent it all along. The brand aptly addresses the said concern with the headline they used in their homepage. State your key benefit. For this part, make sure you include the most compelling reason why they should do business with you. 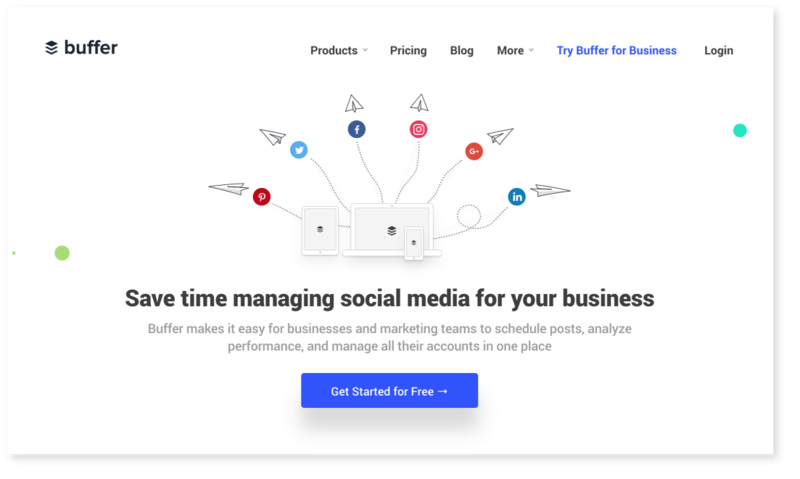 Buffer does this below by stating that they can help you save time when it comes to managing your social media. Provide a context on how you can help them. To make your message more powerful, it’s not enough to mention a specific benefit. Take it a step further and provide an instance when your product or service can be valuable. This makes it easier for them to understand how your offer fits in with their needs or problems. 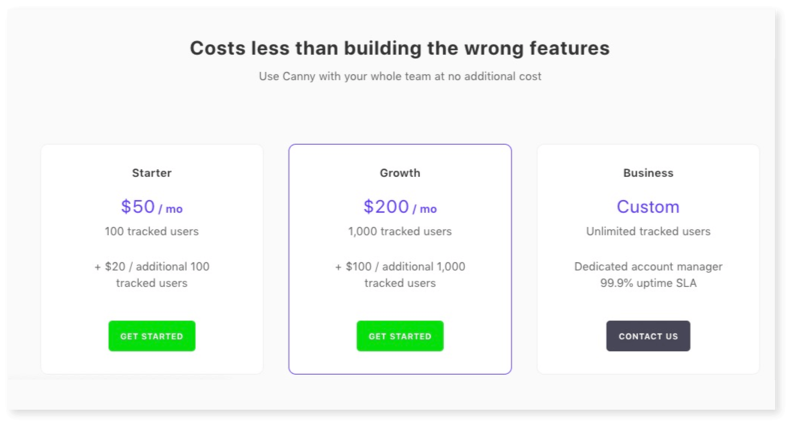 Shopify does this by stating that you can use their platform “whether you sell online, on social media, in store, or out of the truck of your car...” It makes it easier for Shopify’s visitors to self-select whether the platform is suitable for them or not. Once most or all of the above are in place, you’ve now made a solid positioning that will grab the attention of your ideal customers! Now that you’ve got their attention, it’s time to craft your marketing copy in a way that your audience can resonate with. No matter how well you’ve positioned yourself, it won’t mean a thing if you can’t properly translate that into your message. That’s something you can accomplish through the below tips. Leading with the right hook allows you to build on the interest of your prospects and encourage them to read more about your message. Doing the above can clue you in on the conversation that’s going in on their heads and what kind of words they’re using. The key here is to use the same words in your message so they can resonate with what you’re trying to convey. For example, if the primary concern of your ideal customers is self-improvement, use words that would tie in with that concept. Using words like success, purpose, transform, achievement, and their variations to hook your target prospects is an effective way to cater to their deepest desires and needs. Transform your life and finally achieve the business success you’ve always wanted! Let me help you become more confident and proactive in building a business that aligns with your life’s purpose. If you haven’t noticed, today’s web readers get bored fast. And bored people hop on to the next thing that will catch their attention. So once you catch your ideal customers’ attention, you need to be able to keep it with a boredom-free marketing copy that will stick to their mind even after they’ve finished checking you out. One of the ways you can do that is by writing conversationally. Why? Because people won’t be able to connect with your brand or business if you’re always talking jargon or doing a lot of “business speak.” That’s why it’s important to craft your marketing copy like how you talk. Use “you” a lot and don’t make the mistake of only talking about yourself or your business. Just like in real life, no one likes people or businesses that are always full of themselves. Your message should be about them and what they could get from you. Another way to keep your readers from being bored is to avoid marketing buzzwords. Using marketing drivel doesn’t add any value to your message and will only serve to make you sound hollow. Moreover, it makes you sound like everybody else which is the surest way to be thrown into the “businesses no one really remembers” category. The key thing to remember here is to just make sure your brand sounds real. If your brand is a reflection of yourself, incorporate parts of yourself that you want to show. Maybe you have a straightforward, no-BS approach way of communication, then make sure it’s evident in your copy. They tweaked their site’s headline in light of the Christmas season to let people know (cheekily) that the holidays is really all about the gifts. You don’t always have to use humor to make your message interesting. Just do most, if not all, of the above tips and you can make your brand appear more accessible and easier to connect to! Hype-based selling is all about using exaggerated tactics to fire up readers so they would be more compelled to buy. Although it’s common to see this type of tactic used on today’s marketing copy, it can easily backfire since you’re trading your credibility for short-term returns. 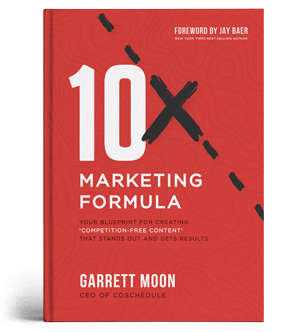 It’s much better to go for a method that’s much more viable to use for the long run because it’ll help build loyalty toward your brand. As a writer myself, I know that it takes more than just knowing how to write to be a published book author. You have to have specific knowledge of what you’re writing about and be able to self-publish and market it or get a publishing outfit to help you distribute your book. More than just that, it would take more than two weeks to publish a book. The only way that kind of claim would be valid is if they’re churning out ready-made books for people to publish. This type of implausible claims can only appeal to those who are impatient for results and such people would likely drop you the second you fail to live up to your claims. If you’re looking for long-term customers who will stick with you, that isn’t just the way to go. Even without hype, you can write powerfully persuasive marketing copy by tailoring your message to resonate with your ideal customers’ needs and wants. Because at the end of the day, conveying your value is still what seals the deal. Including specific details in your message is another remarkable way to increase your credibility. It’s not only more believable but it also positions you as a knowledgeable source when it comes to that topic. Sharing specific data means you did your due diligence in advance so you can provide your prospects the right information to aid in their buying decision. 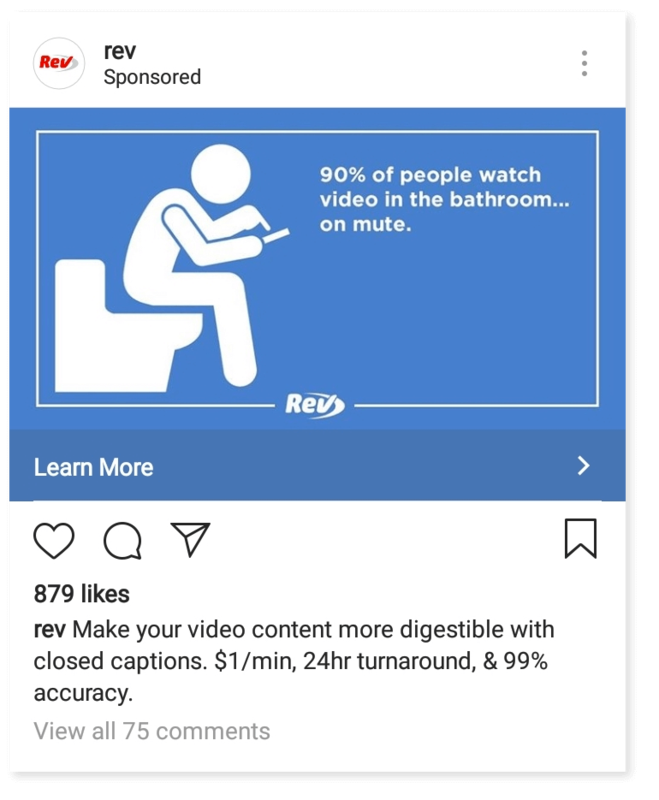 Rev does this by sharing a statistic on their ad that they can tie in with their services. While in their caption, they provide a specific turnaround time (24 hours), their accuracy rate (99%), and their price per minute ($1). This goes beyond your standard spiels like “quick service” and “accurate work.” After all, people will have different definitions of what fast or accurate is so it’s better to be specific on the exact meanings of your claims. You can also apply the concept of specificity when it comes to your benefits. Just choose one specific benefit that has the most advantage for your target market. This helps your message to immediately resonate with them. 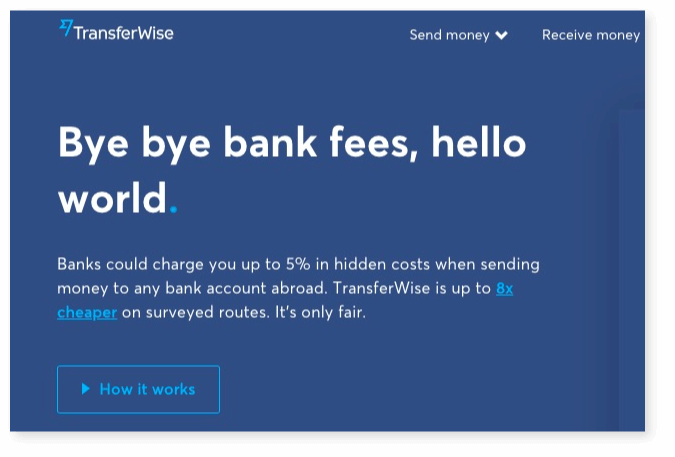 TransferWise uses this method to make their home page’s web copy more compelling. They start out by stating how much exactly do banks typically charge when sending money (up to 5% in hidden costs) and that they’re actually “8x cheaper,” which means more savings for its users. By using the above tactics, your target prospects will be going, “This is for me!” in their heads long before they’re finished reading what you have to say! Now that you’ve managed to grab their attention and attract them to your brand, it’s time to convert them as lifelong customers. Once you’ve got good people looking at you, it only makes sense to have them on your team—for good (or as long as possible). Most people don’t just buy on a whim. If it’s an especially big purchase, you can bet that your customers will likely take their sweet time thinking about whether to buy it or not. Converting your target prospects into actual paying customers means you have to be able to pre-empt any concerns they may have about buying from you. A good way to do this is to reframe the cost of your offering especially if the product or service you’re offering is expensive. Cast your pricing in a different light by positioning the cost as an investment for them. Let them know that they’d only need to pay a high fee once and that they’ll be able to reap the returns repeatedly in the future. Or you can also break down the total cost to a much more digestible amount. 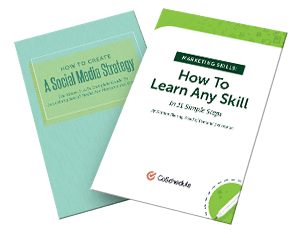 For instance, if you’re offering a $30 monthly membership course, let them know that they’ll get to learn from your expertise for just $1 a day or for less than the cost of one Starbucks coffee. Whatever paints a better picture for your audience. This is because not all costs can be reframed. That’s why in such cases, it’s better to just have a variety of pricing points that your audience can choose from. Lastly, take away the risks of buying from you. Offer a free trial or a money-back guarantee for a specific period of time. Using the above tips will definitely ensure a much smoother buying process to help your prospects become your lifelong customers. What’s a superbly crafted message if it doesn’t compel your target audience to act? Now that all the other elements are in place, the next logical step is to move them toward a specific action. For that, you’ll need a call-to-action or CTA to end your message. In the above example, they ditched the standard “Sign Up” and “Free Trial” CTA copy for a more benefit-oriented one: ”Convert More Visitors.” Moreover, they made sure the CTA button popped out by using the color green to contrast with the orange background. 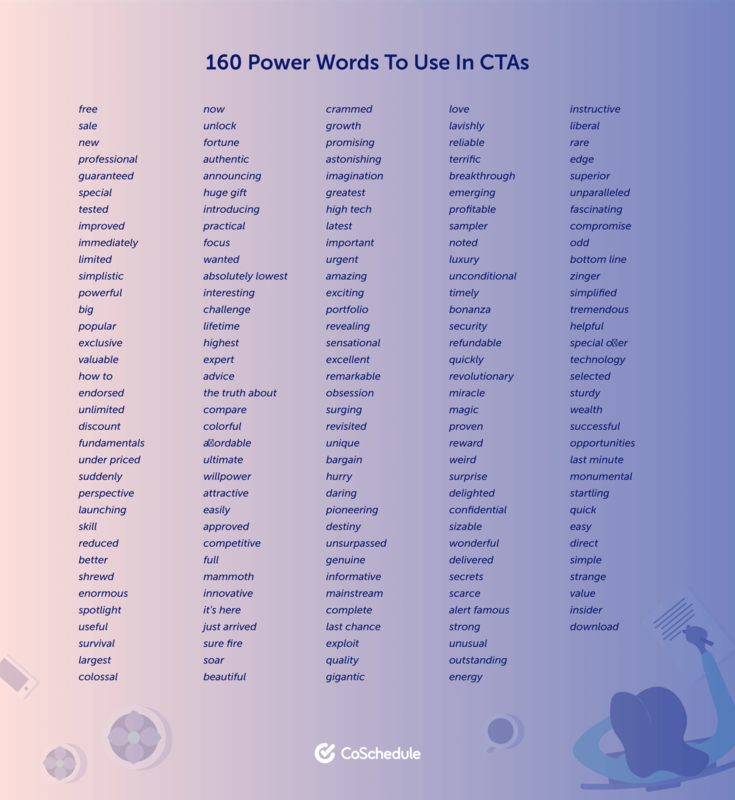 CTA copy doesn’t have to have all of the above elements, but it has to fit the context of your message. For instance, if you’re offering a paid course that’s only open for enrollment for about a week, it would make sense to make your CTA buttons more urgent. Use a color that contrasts with the background so it’s easily visible (Use a color wheel to know which colors are opposite to each other). Add shadows or gradients to make it look three-dimensional. If you want to use icons with your CTA button, just keep it simple. You don’t want to distract them from the button’s message. Make it decently sized. Don’t make it too small that the text is unreadable or too large that it overwhelms every other element near it. And once you’ve drawn up your CTA button, create another version and split test it with the original so you’ll know what specifically works for you! With the above tips, you’ll be able to write the kind of marketing copy that attracts your audience who aren’t just interested in your brand but are willing to pay the price to work with you as well! All it takes is to take the time out to get to know who your ideal clients are and to write compelling copy that positions what you’re offering as the answer to their problems. After that, it’s all about fine-tuning your message so it connects with your target audience and you can convert them into lifelong customers! Jeanne San Pascual is your no-hype sales copywriter and the person behind The Copywriting Psychologist —a copywriting service for entrepreneurs who want to sell big without resorting to old-school, forced sales tactics.